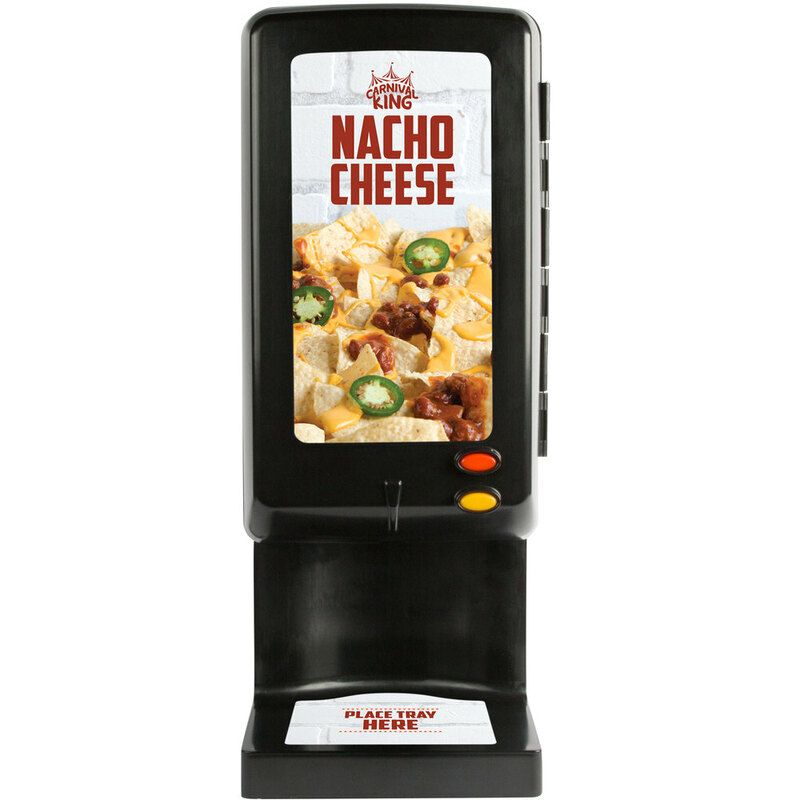 Easily dispense cheese for nachos and other popular dishes with the Carnival King CD225 peristaltic cheese sauce dispenser! This sauce dispenser features 225W of heating power to keep cheese sauce at the ideal temperature for tasty nachos, and it's side temperature indicator clearly displays the temperature of the interior between 145 to 155 degrees Fahrenheit. This model works with 110 oz. cheese sauce bags. An interior top shelf holds an extra bag so you have a second one on hand and ready to go when your first one runs out. This dispenser has two buttons to allow greater control over portions. Using the orange button provides a single 2 oz. portion to help keep your costs under control, but when you need a larger portion for a special request, your staff can use the yellow button to manually dispense any amount. The orange button dispense time is customizable to dispense anywhere from 1 to 30 seconds using the side mounted temperature controls. It's as easy as pressing the time button and selecting your desired setting! For easy operation and changeouts, this sauce dispenser has a simple clamp mechanism that holds your bag of cheese sauce in place while it's in use. This dispenser requires a 120V, 225W electrical connection for operation.